Now that life as normal has started up again, yesterday I tried to get Shiva and I used to taking our walks in the dark. 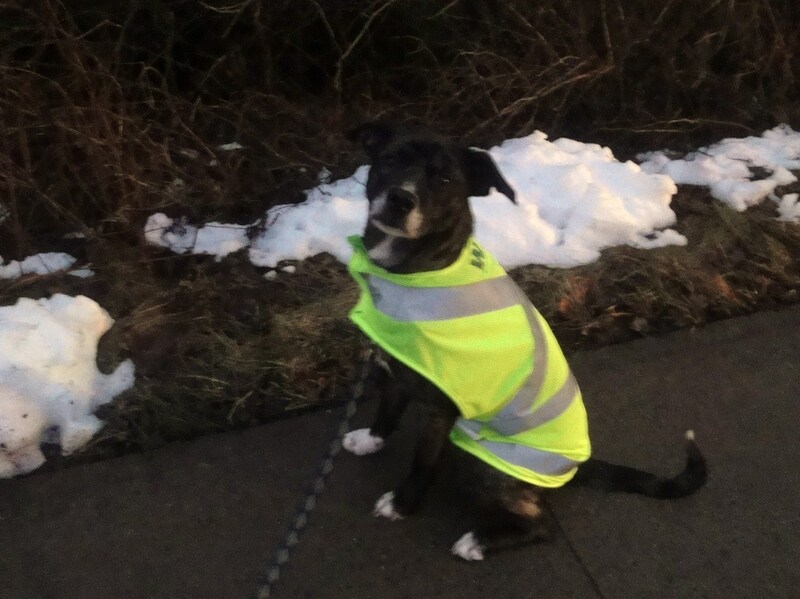 Here she is sporting her ultra-cool reflective vest. Pretty soon all the hipsters will be wearing them. I’d say she looks pretty stunning, wouldn’t you? She has an ethereal sort of glow these days. The vest truly brings out her eyes. You could tell if she would actually look at the camera. It’s very fitting that I chose today to show off Shiva’s sartorial splendor as Ryker from Ryker Rules was kind enough to bestow us with the Stylish Blogger Award! I am positive Ryker was thinking solely of the Shivster when he gave this to us as I have never once been accused of being stylish in my whole life. It was very sweet of him, don’t you think? Especially since his blog is one of the prettiest I have ever seen. Thanks Ryker! SO cute! I desperately want a jacket for Daphne, but she would hate it. And maybe me. I’m wondering if a jacket is a good way to teach her to loose-leash walk… hmm. My husband actually sewed this together from one of his work vests so it isn’t a “real” dog jacket but I think it’s just as cute. I am actually suprised at how accepting Shiva is of the stuff we put on her. As long as it doesn’t get in her way or cover her face, she doesn’t seem to even notice it’s there! Good luck with the loose leash walking. That seems to be a constant thing with us as well. Shiva totally rocks that coat! she’d be stylin’ with or without it! Wowee! I am most impressed with Shiva! She’s like a walking Christmas tree or something. Very fashion furward, if you asks me. Congratulations on your awardie. We think you are ALL most stylish. PeeS. What is this “loose leash walking” you speak of? Where did you get that vest from? My dogs need one. I just read the previous comments & answered my own question…you should sell those! She really struts her stuff with that vest on! Looking good Shiva! Well done ion your blog award. You are both unutterably stylish. Macaulay and I have some serious catching up to do 😀 Shiva looks fab in her coat, and you remind me I should be kitting us both out for our night time runs…. Congratulations on your award! I think the vest looks great and a really good idea – it works so well! I love Shiva’s new look! Especially the shot where she really shines! Way cool! 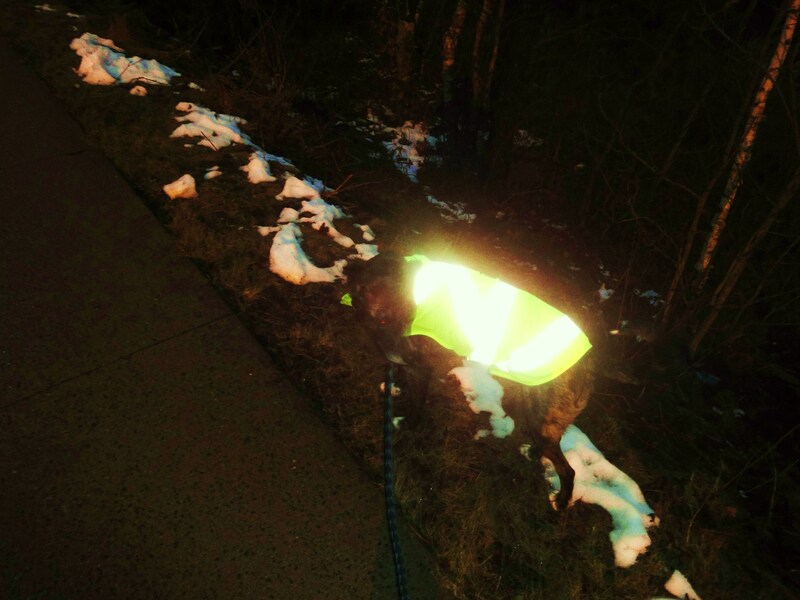 That reflective vest sure does work! I love that Bunny, Blue and Lilac’s coats have reflective stuff on the back of them. I need to find one like yours for Morgan. She doesn’t need help to stay warm, but I would like her to be more visible at night! The girls here all agree that Shiva is quite a fashionista! Very cool vest! I have to one for myself to compliment. 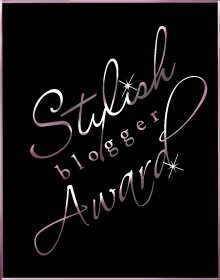 And how deserving for you to recieve such a stylist award for such a stylist Shiva and blog. Congradulations! That is one effective vest. You’ll never lose shiva in the dark, that’s for sure! 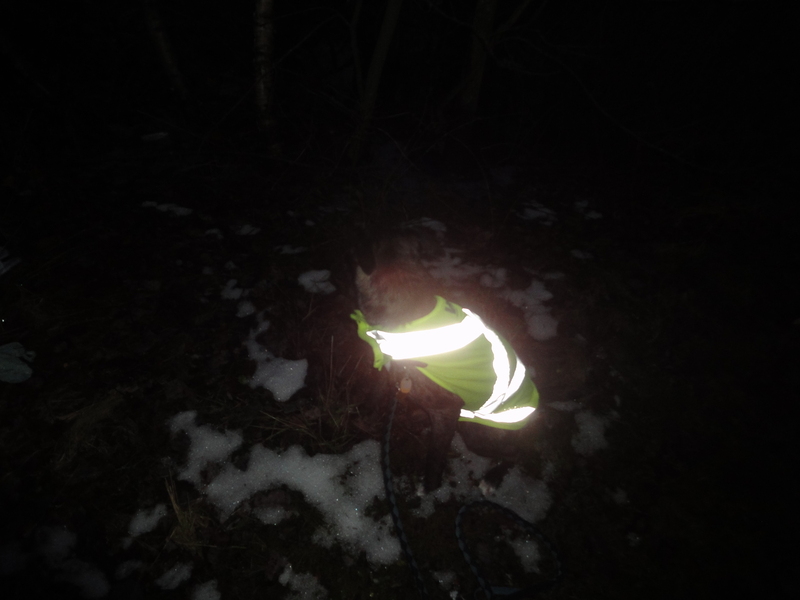 We only have little twinkly things for the collar, but then we don’t get snow storms with low visibility. Now I’m shamed, because I have not gotten my lazy hiney out of bed early enough to walk the dog before I go to work. Shiva, you’ve got a wonderful mom. Good thing my dog has a dad who can take him out after sunrise. Hi! We just started our own blog, and we are going around trying to meet everyone at Pet Blogs United. 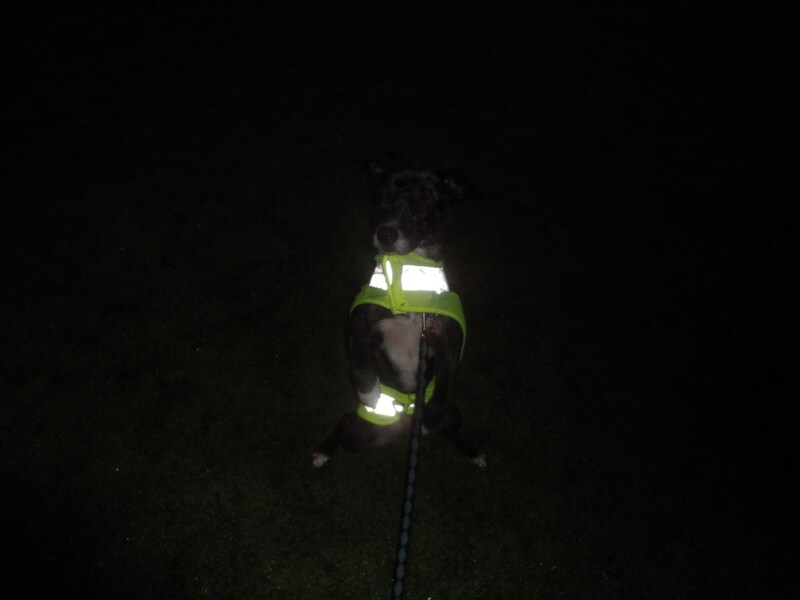 We like the pictures of Shiva with her glowing vest! We think she looks like an alien! She looks so proud of her vest. And congrats on your award! Shiva is definitely stylish in that coat!!! You are so clever!!! Congrats on the award. Shiva deserved it!!! Enjoy the sparkly coat while you need it. Spring is just around the corner–we’re getting about a minute of extra day light every day! Well you gotta have hope. She is definitely stunning…and love that you repurposed the material into a vest. Very resourceful! Glad to see that precious Shiva is protected at night. Good on you! And your very creative husband. We think you both got style! Lookie at Shiva…she even glows in the dark!